These earrings are handmade from resin and hung on sterling silver. The silver is Rhodium plated to add an extra layer of quality. 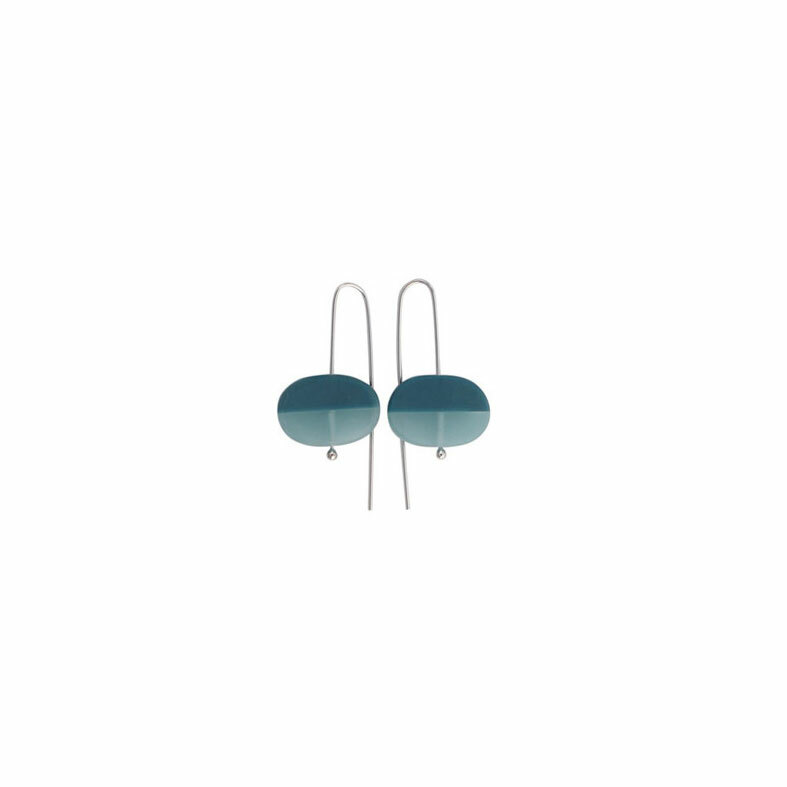 The two tone steel blue design in this pair of earrings is beautiful and really suits the oval shape. 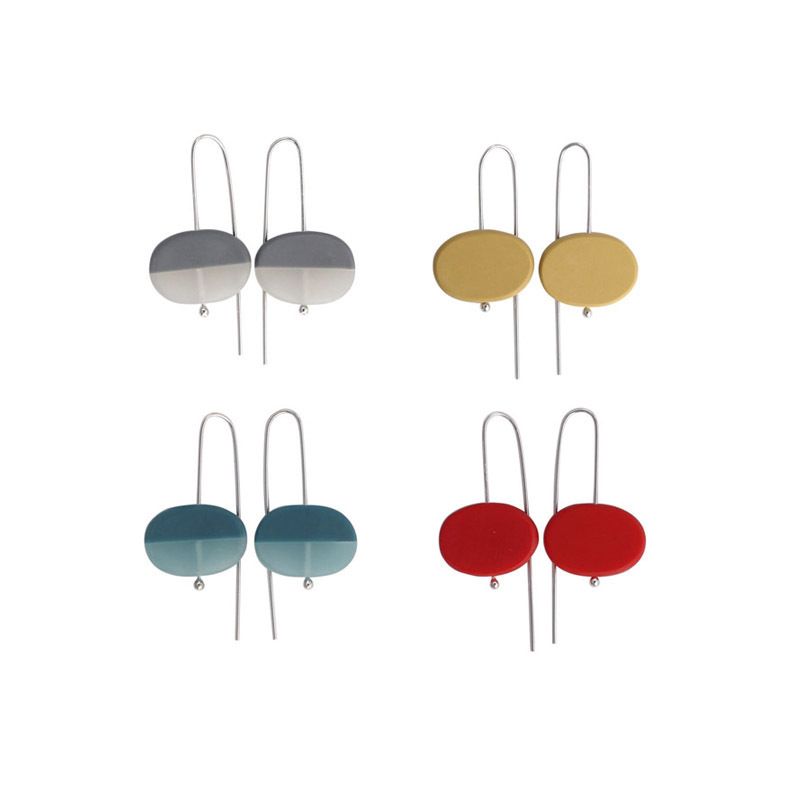 - Colours: Grey, Mustard, Steel Blue, Coral.